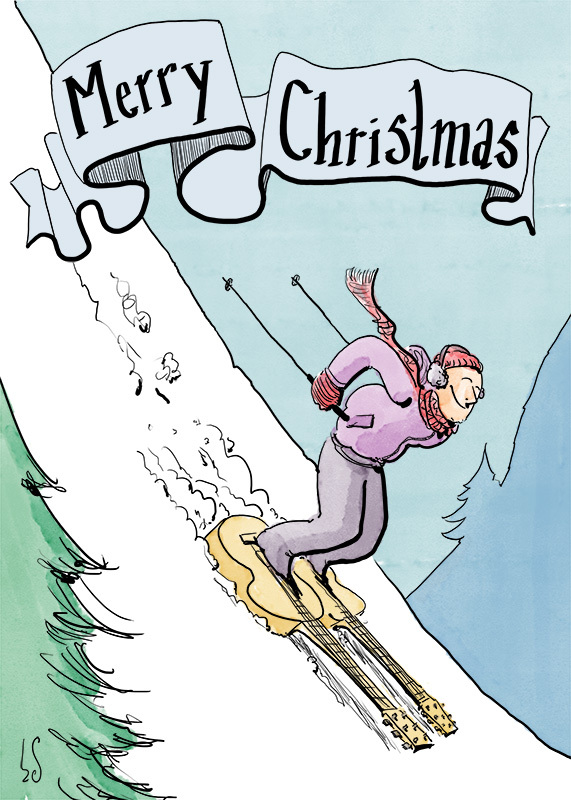 *Including free digital download, to send as an e-card. 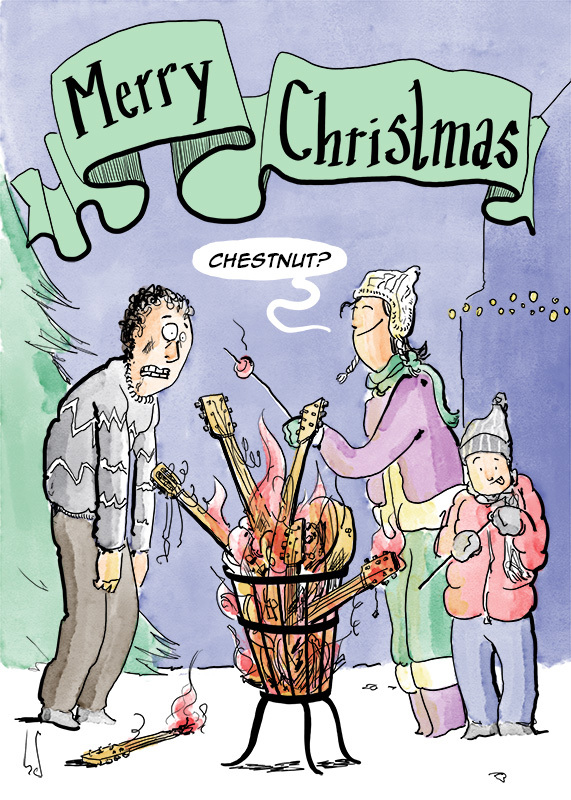 After doing some guitar-related cartoons, comics and artwork there came the question if I could maybe do something “Christmas related”. 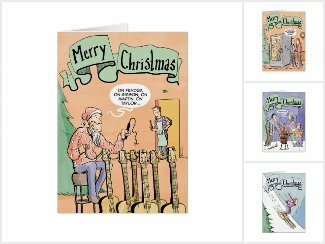 Acoustic Fingerstyle Guitar Christmas Cards! 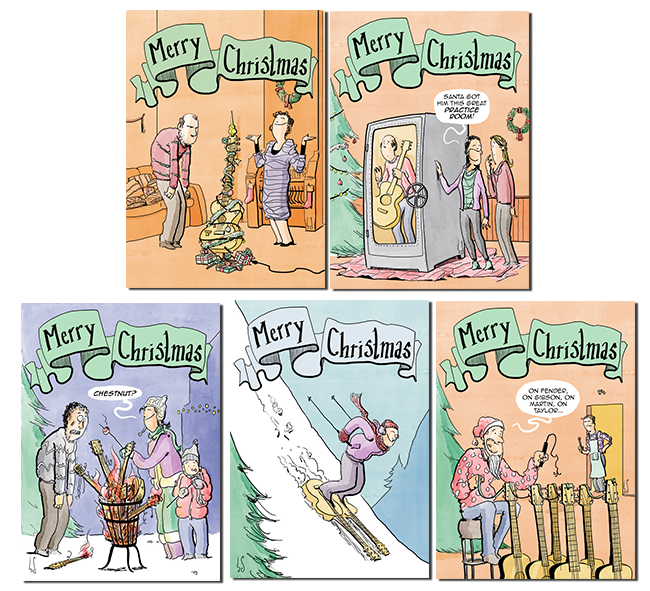 Some brainstorming led me to five different Christmas cards where we see how a guitarist might spend his holidays. It was a fun exercise and I’m actually quite happy with how they turned out. Now because of the Christmas spirit and all, I thought it would be nice to offer these as a gift for you to use and wish you friends and family a merry Christmas. Therefor I’ve made a nice little ZIP file for you to download. In it you’ll find all five images in appropriate e-mail file size. 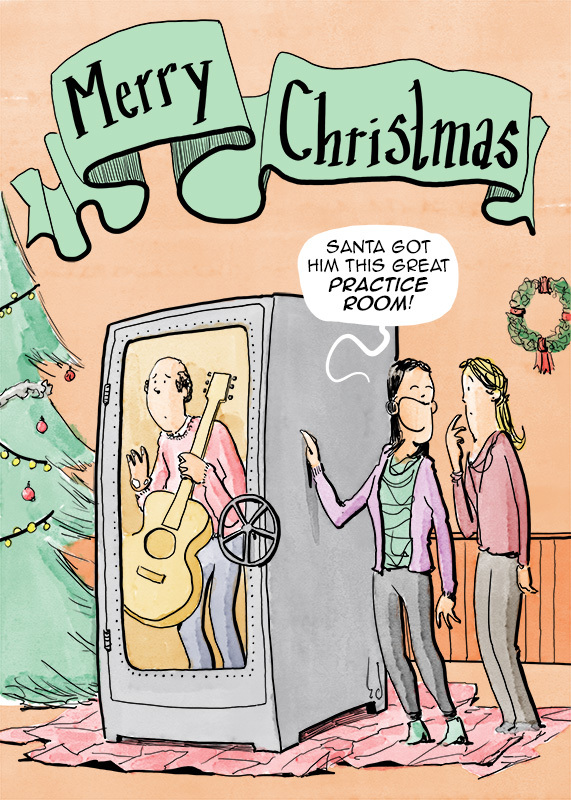 Just insert your preferred image into your favorite e-mail program to send it out as a digital Christmas card. 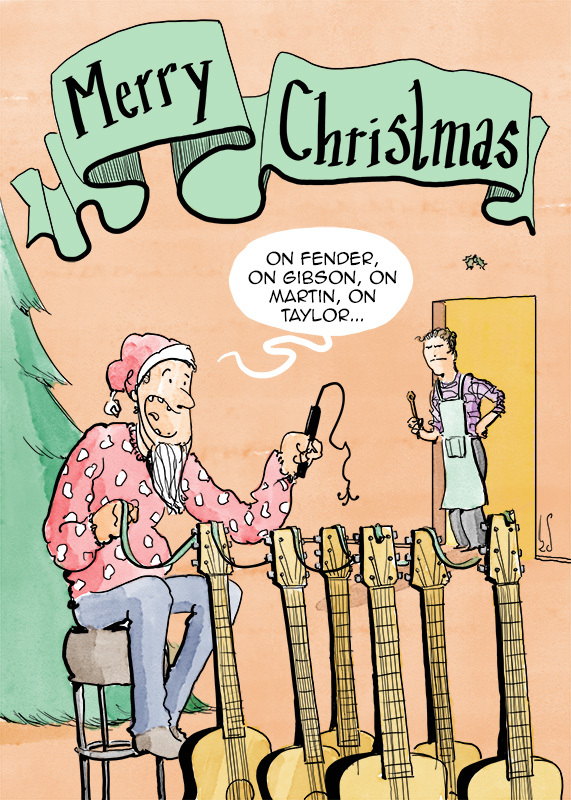 You can download the guitar Christmas card pack right here! (right click and save as). If you‘re anything like me, you know nothing beats a physical Christmas cards arriving in the mail. That’s why I also added these to my zazzle shop. There you can order each card on 5”x7” Matte eggshell texture paper. Envelope included. 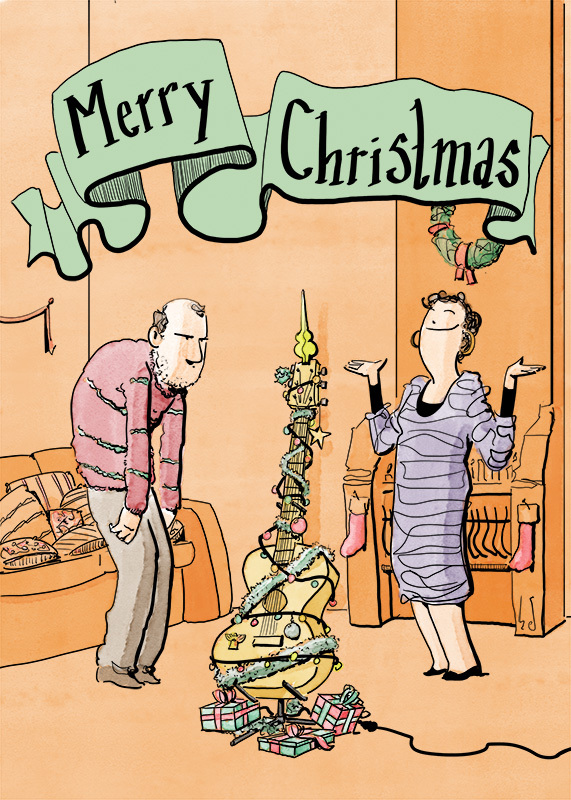 To go to my Christmas card shop click here if you’re in the UK and here if you want to order from the Netherlands.